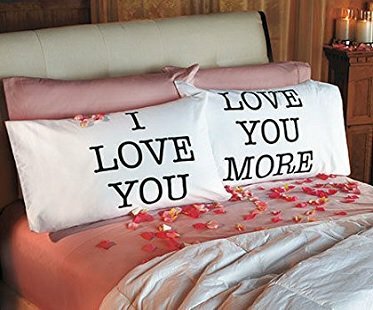 Add some romantic decor to your bedroom with these 'I love you' pillowcases! Their neutral color means you can add them to any bedding of your choice. The perfect gift for newlyweds or an anniversary.